Two months ago Chime called attention to the staggering problem of food insecurity in America with our Chime In for Hunger campaign in support of Feeding America. Many of our members responded to the call and we want to thank those who contributed. As we gather together this holiday season to celebrate with traditions of food, gift giving, and time with friends and family, our thoughts are with those struggling to get by or put food on the table. There are close to 49 million Americans living in food-insecure households, including 32.8 million adults and 15.3 million children. These statistics are truly hard to stomach, particularly this time of year. That’s why we’re sharing a few tips on how you can make a difference, starting with your local community. Join a local gleaning group. Gleaning groups assist with picking fruit and vegetable crops that would otherwise go to waste. Volunteering with a gleaning group is a great way to make a difference while affording you the opportunity to learn about local agriculture. Volunteer at a food bank in your area. Millions of families depend on meals provided through local food banks and pantries, and those facilities rely on volunteers to help sort, bag and distribute food. 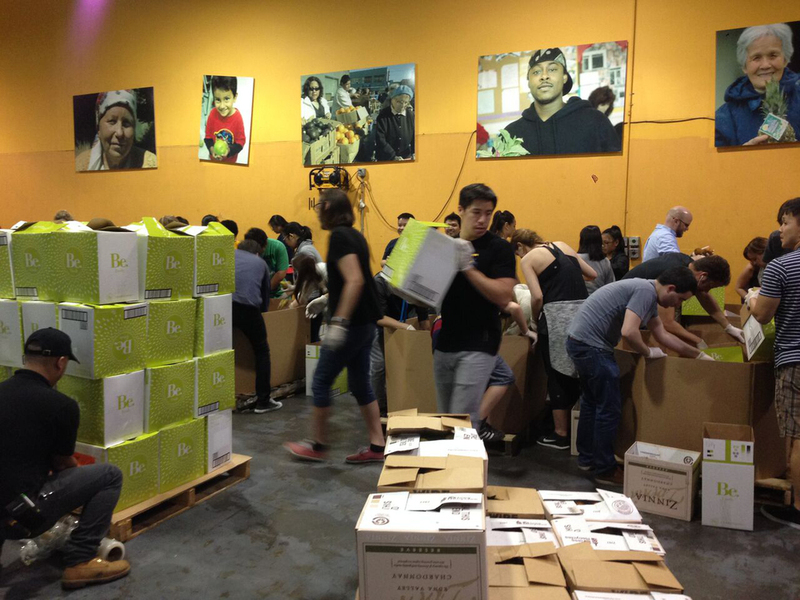 Some of our team members here at Chime recently lent a hand at the San Francisco Food Bank. In just a few hours our volunteer group packaged 660 boxes of pears and 500 pounds of rice for distribution to various partners and pantries across local counties. Food banks, as well as other non-profit organizations that fight hunger, rely heavily on grants and cash donations. Food banks buy food in bulk and at discounted rates, so a donation of $1 can purchase $20 worth of food for a family in need. You can donate directly to your local food bank, or through organizations such as Feeding America. 3. Reduce waste through recovery and donation. Hosting a party? Donate the leftover food. Work with your school to ensure that unused food is bequeathed to a pantry or food bank. Hire a gleaning group to yield the fruit on your land and give the harvest to a local food bank. Consider coordinating a food drive and requesting participants donate food or a few dollars which nonprofits can use to buy food at an exponential discount. Host a charitable dinner at your school or home to promote discussions about solving poverty and hunger issues. Share this list with friends and family and ask them to join forces so you can Chime in for Hunger together. No matter how you choose to help, any contribution of your time and resources can make a difference for those less fortunate. Tell us how you plan to Chime in for Hunger in the comments.